Hans Rosling, co-founder and promoter of the Gapminder Foundation and of gapminder.org fights with statistics against myths (‘Our goal is to replace devastating myths with a fact-based worldview.’) and tries to counterbalance media focussing on war, conflicts and chaos. And while waiting enjoy Hans Rosling’s Joy of Stats. 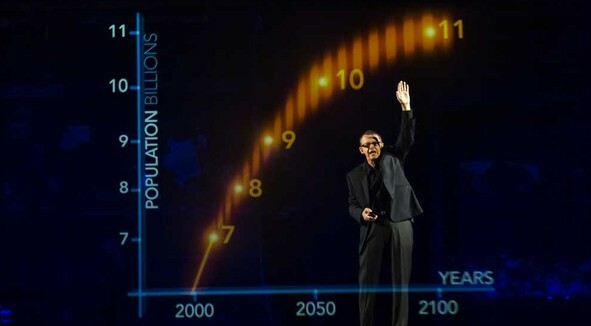 Where statistics and the passion for human development meet: In a classic presentation from Hans Rosling. Who else could do this like this? A masterpiece. Hans Rosling is an early fighter for open data and one of the best, no: the best in presenting insights from these data. His last example comes from TED (Technology, Entertainment, Design) in Doha, Qatar (April 16-20, 2012) and demonstrates that ‘religion has very little to do with the number of babies per woman’. Explaining developments in the real world using statistical information and visual presentations developed in many ways since William Playfair‘s pioneer work. One of the most impressive and most popular techniques are time animated scatter plots. And here the Roslings (Hans, his son Ola and daughter-in-law Anna) created (in their Gapminder Foundation) the Trendalyzer Software. In March 2007 Google acquired Trendalyzer from the Gapminder Foundation. It’s now called Motion Chart and integrated into Google spreadsheet and Google public data. NcomVA – a spin off of Linköping University in Sweden – introduces animated scatter plots in NcomVA’s eXplorer software, used i.e. by OECD. And this is surely not the whole story about Trendalyzer and its offspring. Give us some more examples!